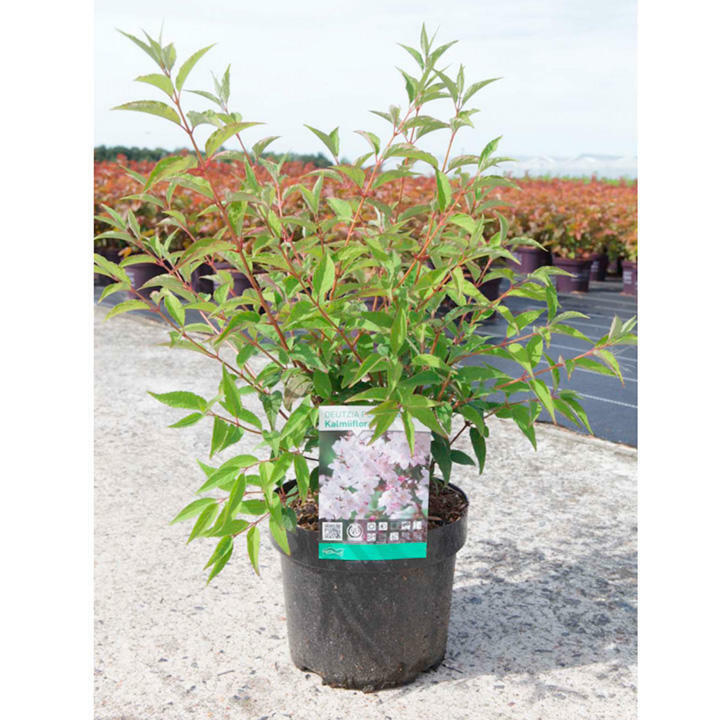 Deutzia purpurea Kalmiiflora is a deciduous, hardy shrub with spectacular, scented, starry blooms that starts out as dark pink flower buds in the spring. Height 150-200cm. Supplied in a 7.5-10 litre pot. 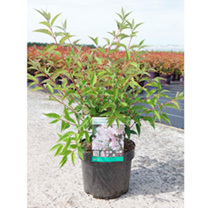 Deutzia purpurea Kalmiiflora is a deciduous, hardy shrub with spectacular, scented, starry blooms that starts out as dark pink flower buds in the spring. Height 150-200cm. Supplied in a 3 litre pot or 7.5-10 litre pot.